We are passionate, committed and creative. They say if you love what you do you will never work a day in your life! 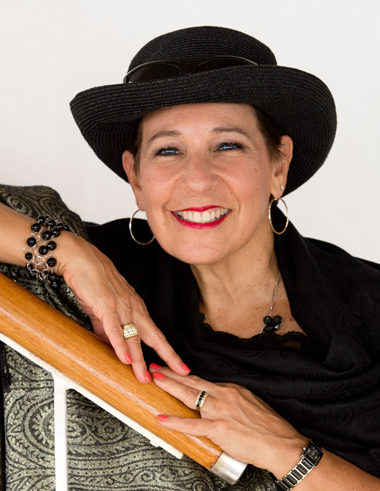 As a classically trained sales, marketing, & management consulting professional, Lisa has been specializing in designing memorable events & great escapes at sea for over 35 years and I have owned my agency for over 23 years. Lisa has seen the cruise industry from 3 different perspectives; as a client, as a District Sales Manager for Sitmar Cruises, and as a travel agency owner for over 21 years. She is often quoted in many trade industry articles. “The world is a book & those who do not travel read only one page ” St. Augustine. Lisa has sailed on over 200 voyages, to 84 countries on 5 continents, including her 106 day Crystal Serenity World Cruise in 2006. 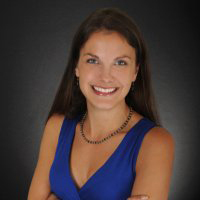 Lisa possesses a Bachelors Degree in Business/Marketing with advanced education from the University of Miami as one of the Nation’s FIRST Master Cruise Counselors (MCC). Lisa has fulfilled much of her bucket list destinations: AUSTRALIA, NEW ZEALAND, ISRAEL, EGYPT, EASTER ISLAND, THE GALAPAGOS, PITCAIRN ISLANDS, AFRICA, SOUTH PACIFIC, SOUTH AMERICA, ASIA, EASTERN & WESTERN EUROPE. The list is endless. Joanne’s initials are JAK and is truly a Jack of All Trades and A Master At Everything! Joanne’s skills in logistics, human resources, accounting, business engineering, event planning, customer relations, and marketing, coalesce to insure all the I’s are dotted and all the T’s are crossed. Joanne’s follow-up is extraordinary, always going that extra mile. 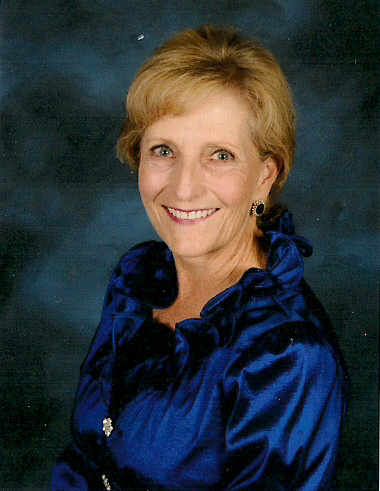 Joanne possesses a Bachelors Degree in Physical Education and has sailed on over 20 voyages. Two cruise standouts for her was sky diving on Royal Caribbean’s Quantum of the Seas and snorkeling with the wild life in the Galapagos Islands. Jon attended University of South Florida in aeronautical engineering before he heralded the call to serve in the United States Air Force as a crypto logical linguistic specialist for China and Russia. 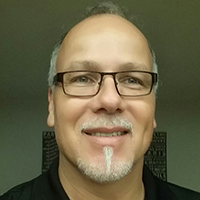 Opting not to pursue an air traffic controller position led Jon to his passion in the Information Technology (IT) sector for the last 30 years. Jon is NOT your standard “computer geek” but is endearingly known as our “Techno Doc” 24/7, especially when the computers do not want to boot up to Outlook! Jon’s background in management and training, with a sense of humor, coupled with his skills and strengths in customer service, has afforded him the opportunity to be sole owner of Kingsway Solutions. Angie has been touted as a web marketing genius. 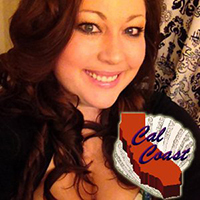 When we found and met this brilliant “millennial”, we knew that Cal Coast Web Design was what we needed to further optimize THE CRUISE DOCTOR’S reach globally. Angie possesses a Bachelors Degree in Graphic Design. For almost a decade, Angela has blazed a trail in developing and implementing web designs that maximize SEO (Search Engine Optimizations), and SMO (Social Media Optimizations). Angela has an eye to build, maintain, and market efficient, user-friendly, lead capturing sites that drive clients to us by the “boat load”. My Cruise Doctor is a licensed, bonded, certified, and insured corporation in the State of Florida having served thousands of guests in the past 21 years. We are globally marketed and locally operated. We unwind the MASSIVE amounts of internet information to tailor YOU, the guest to just the perfect holiday on either cruise ship, yacht, or river boat. An average time is NOT in our vocabulary! The many reviews and referrals we receive are a testament to the customer focused attention we deliver 24/7! To be the bridge that creates a seamless transition from a client’s individuality, needs, and dreams, to the vacation of a lifetime. We are dedicated to offering the world’s most inspiring, life-enriching travel experiences more effectively, efficiently and with sensational creativity. We turn EVERY problem/issue that arises into the ultimate opportunity. We are ALWAYS there for our guests who end up becoming like our family! No one is a stranger to us except the person we’ve not yet met. We are business people in travel NOT travel people in business. Behind every experience at sea that we plan is the HEART and HAND of a great travel advisor . Our client’s never forget us because we never forget our clients. We’ve mastered building relationships that last through kindness, dignity, respect, and integrity. We don’t wait for the perfect moment-we take the moment and make it perfect. Like facets in a diamond or pieces in a puzzle we deliver the missing link and unparalled clarity in planning our client’s voyages. Our concierge approach and 24-hour open door policy makes it convenient for clients to do business with us when THEY are available. We believe price is only an issue in the absence of value. We have access to over a 1,000 group sailings that offer extra savings and amenities to YOU, the guest. Ask for assistance with air, hotel and transfer arrangements as well as shore excursion options in your ports of call. So whether it’s a milestone occasion, a meeting or incentive, a theme event that informs & inspires, or a fundraising opportunity for us to give back, we can create that celebration that will be remembered for many years to come more effectively, efficiently, with sensational creativity 24 hours a day 7 days a week when YOU are available; a PRICELESS VALUE for sure! BON VOYAGE!